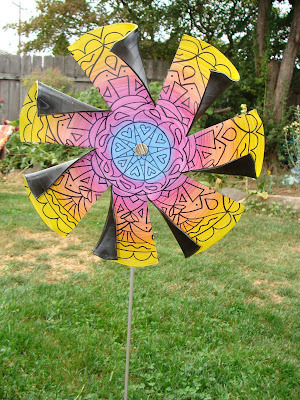 Eye Pop Art: Mandala Pinwheels - WHEEEE! 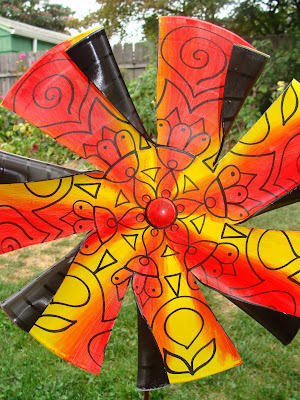 Just a quick peek at my new Mandala Pinwheels! 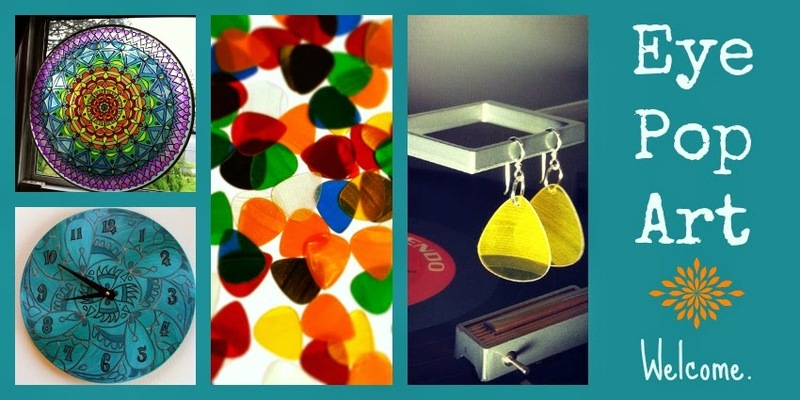 They're made from recycled vinyl records and vintage radio knobs. Made in collaboration with Anitra Cameron of Coffee Pot People. I have 7 finished and will be working on the last 5 today. 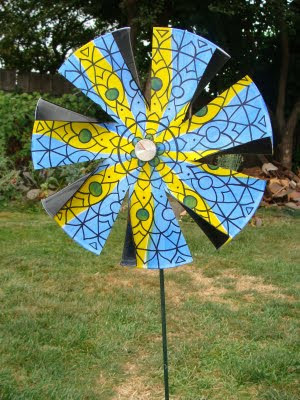 Here are a couple of quick videos if you'd like to watch them spin! Christine, they're WONDERFUL! Ohmigosh, I am going to Have to have one! 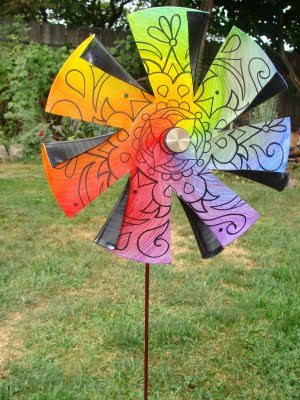 These are SOOOO Cool! My husband is an auctioneer and these rarely sell for much for an entire box! 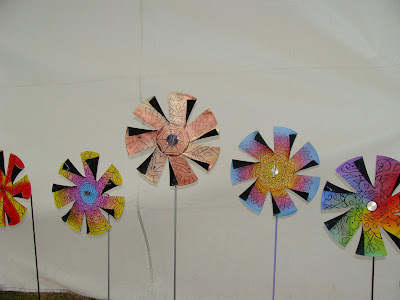 I would love to do these with my Girl Scouts in May when we go camping. Would you be willing to share how you make them? I can be reached at Troop3133@gmail.com.